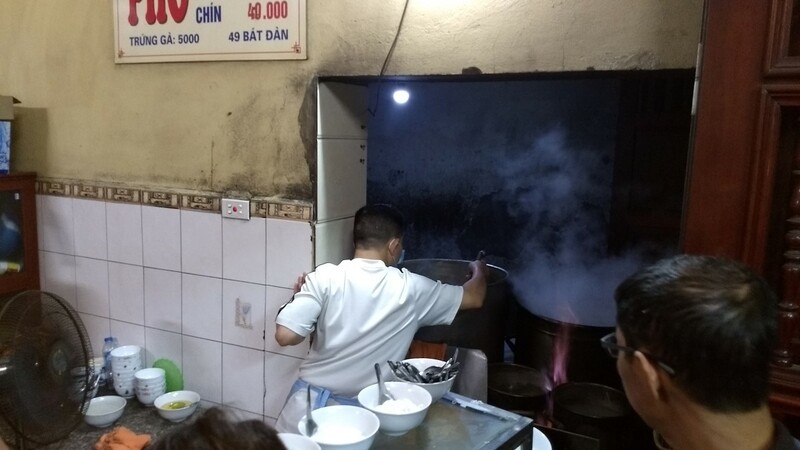 It took us a while to get around to having phở in Hanoi. We have it semi-regularly at home and there was a lot of other food that was new to us. Rest assured, though, we weren't going to leave without having a bowl or two. 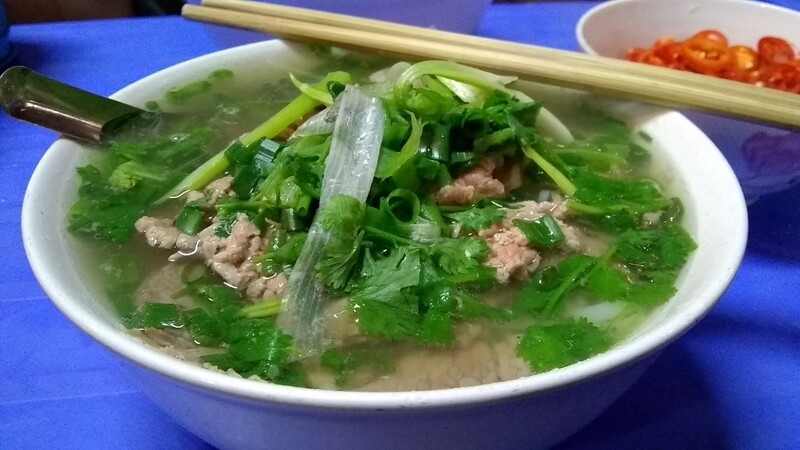 On a rainy night, we found phở bò calling our name. 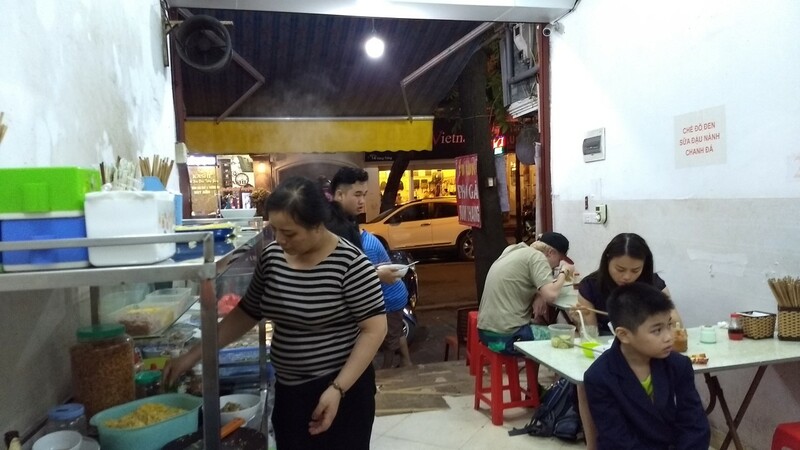 This place (Quán phở Gia Truyền) did only beef soup, and just in three variations - tái nam (rare steak and flank), tái (just rare steak) and chín (brisket). We opted for the tái nam (picture at the top of this post) and the chín (below). Both bowls were very good. In Hanoi, they serve phở quite simply - you aren't given a bunch of greens like you are with many other dishes. 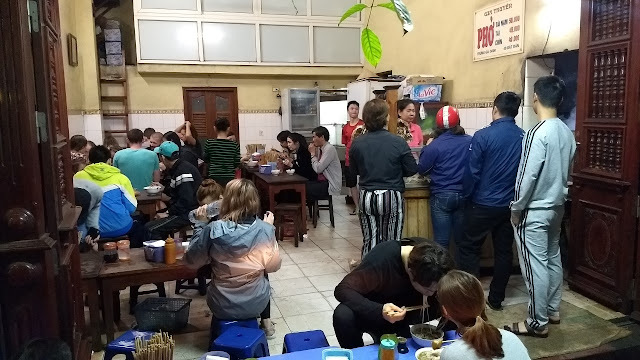 On another night we found ourselves craving phở gà. We settled on a place called Tư Lùn and were not disappointed. 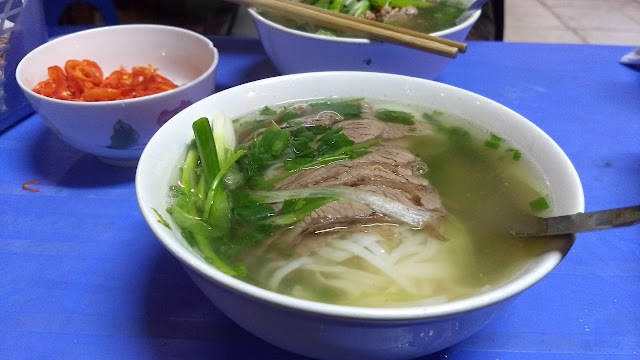 Like the beef phở, this was also served simply but was extremely satisfying. 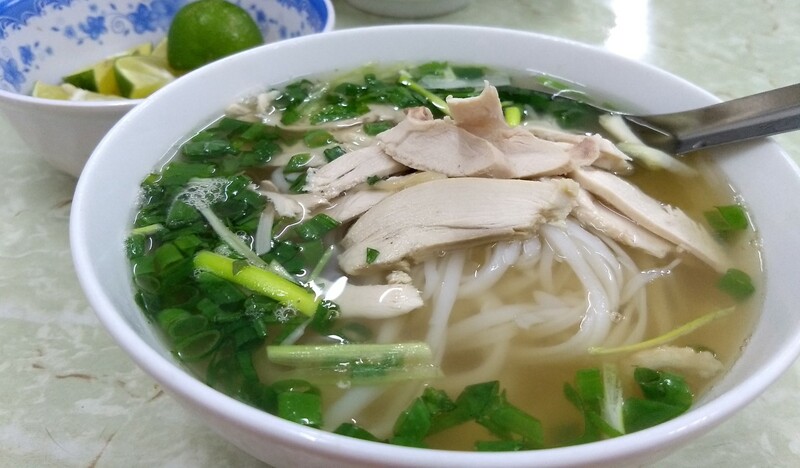 Hot, flavorful broth, tender slices of chicken, rice noodles and a garnish of green onion. Works for me.